The town of Glenrowan, and in particular the Glenrowan Inn, have become synonymous with Ned Kelly and his gang. It was here that the Glenrowan siege took place, when Kelly was finally captured by the police. Nolan produced several works of art, including a tapestry, focusing on events at Glenrowan, and this is one of his earliest. 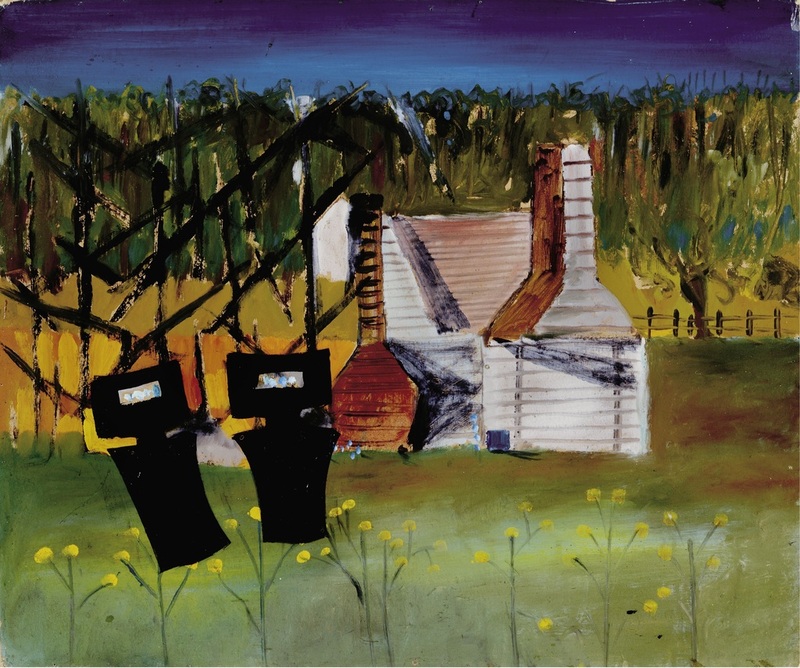 This painting expresses an eerie sense of foreboding as two legless and faceless figures, clad in black armour, appear in the open clearing, behind the Glenrowan Inn where the Kelly gang ultimately met their fate. The bushrangers are exposed and vulnerable. The field of delicate yellow wildflowers and a small pool of light in the foreground are juxtaposed against a band of dark sky and slashes of black cross-hatching which reinforce the sense of tension and disquiet in this painting.